At the core of The California Endowment's (TCE) work is their Health Happens Here strategy. Health Happens in Neighborhoods, in Schools, and with Prevention -- and Health Happens with All Our Sons and Brothers. TCE sponsored a case study of school discipline reform in California, and engaged Nancy Latham (LFA's Chief Learning Officer) and two other consultants (Tia Martinez and Arnold Chandler) to research and write the study. 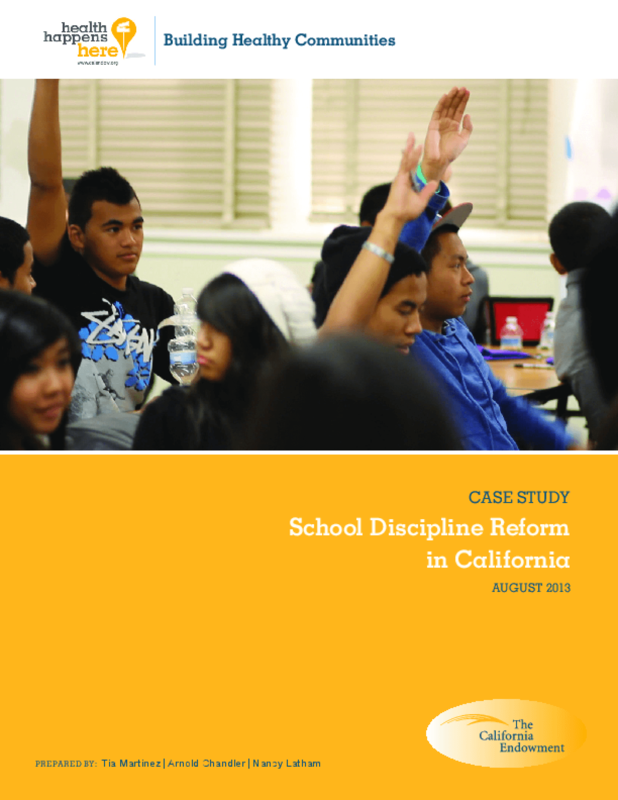 The case study tells the story of how community and youth organizers, public interest lawyers, and statewide advocates came together to support school discipline reform. In a remarkably short period of time during 2011 and 2012, this issue went from the fringes to the center of policy debate -- with ten bills introduced, seven passed, and five ultimately signed into law. These new policies are an important milestone in the effort to back away from overly punitive "zero tolerance" school discipline that fuels high drop-out rates among young people of color. These policies will make it easier for schools to support and educate, rather than marginalize, our sons and brothers. Copyright 2013 The California Endowment.